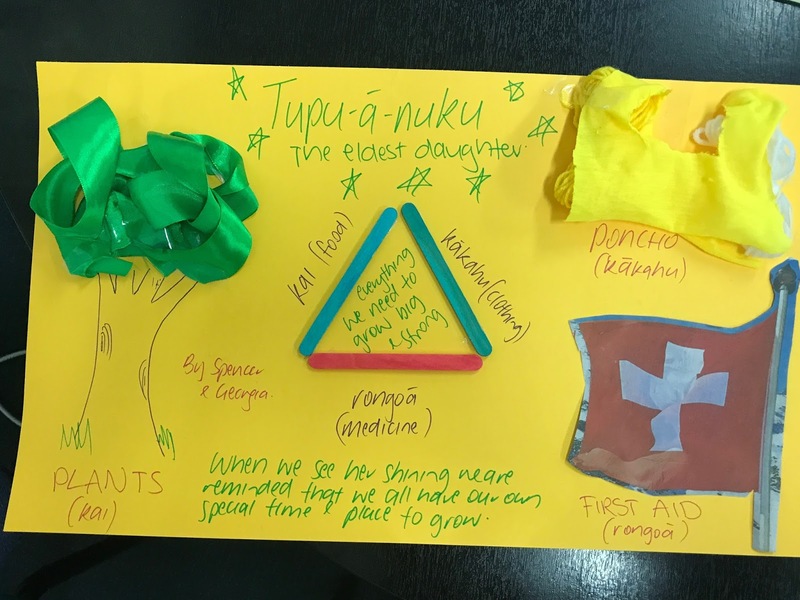 Throughout the last week of Term 2, we celebrated Matariki with various house competitions for the students and a flag raising ceremony. 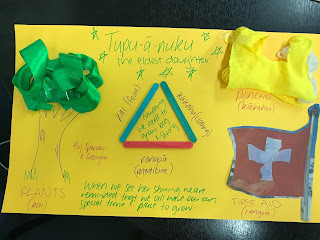 One of the activities the staff were given, was to represent one of the stars from Matariki as a visual (and we were only given 7 minutes!). I really enjoyed this activity, because it gave me greater insight into one of the stars from the cluster, and sparked an interest to learn more. I was asking myself what Matariki is actually all about and wondered why we were celebrating it. I spent this afternoon in the sun reading Matariki: The Star of the Year by Dr Rangi Matamua. 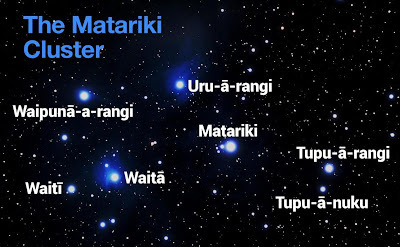 I found the history of Matariki incredibly interesting, specifically the in depth description of each of the stars, and how Matariki is understood different around the world. The sentence I was left thinking about at the end of reading the book was "Māori derived all kind of omen, message and meaning from the heavens, and believed the stars foretold their fortune and future" (p. 2). 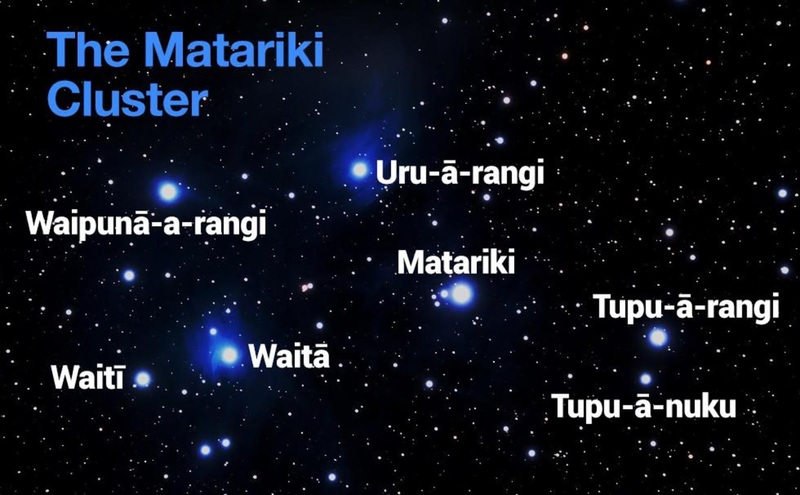 The star cluster of Matariki (otherwise known as Pleiades), are considered in Aotearoa to be a mother and six daughters, each representing different parts of Māori culture and what the future holds (i.e. crops, weather, and deaths). I have always been interested in astronomy, but have not had an opportunity yet to explore it a little further. The book really breaks down how Māori relied on the stars to tell their future stories, and has inspired me to read more! The Western world follows a solar calendar of 365 days per year, however the Māori follow a lunar calendar of 354 days per year, based off of the rising and setting of the sun and Matariki. For this reason, it is incredibly difficult to align the two calendars and know when to celebrate Matariki (the rising of the stars, and the beginning of the New Year). However, I was delighted to read that the rising of Matariki begins tomorrow and the period is 17-22 July! So, over the next few days I will be looking out for the stars and thinking about how bright they are (as this symbolises the fortune of the future). Finally, I watched the film Moana recently, and this highlights how the elements were a fundamental component of living for our ancestors including growing of food and navigating the sea. I feel I know understand and appreciate a little more about Matariki, and look froward to reading, hearing, seeing the celebrations across the country over the next couple of weeks.